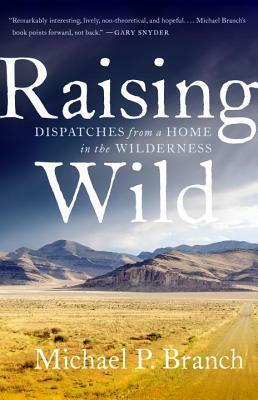 A new book called Raising Wild: Dispatches From A Home In The Wilderness explores what it's like to live and survive in the Great Basin Desert. It's a memoir by UNR English professor Mike Branch who lives with his wife and two daughters, well, in the middle of nowhere. "We live together out in this remote area on a wildland interface where we've got lots of big crittters and big weather," Branch says. "We're at about 6,000 feet, so we've got high elevation conditions as well." To learn more about the book, let’s turn to our special contributors Alan Deutschman and Christina Barr. Branch will be reading from his book at Sundance Books and Music on Wednesday, October 26 from 6:30-8:00 pm. 1. Begin with a chilled zombie or highball glass. Add two sprigs of wild giant hyssop, monardella, or any mint-family (Lamiaceae) wildflower you may have gathered on this morning’s hike. All these lovely plants are cousins of Artemisia Tridentata (big sagebrush), named for Artemis, the Greek goddess of wild nature. 2. Gently muddle the mint sprigs. As you do, the mint should become more muddled; your thinking less so. 3. Add 2 oz. Barrel Aged High Country Gin, crafted by The Depot in Reno. If you aren’t fortunate enough to live in Nevada, an acceptable substitute is Wilder Gin, which is distilled with wild-harvested, native botanicals including sagebrush and purple sage. Pause to give thanks to the gnarled juniper trees that produced the berries from which this aromatic elixir has been patiently fermented. 4. Add 1/2 oz. Sage-Juniper simple syrup, to conjure the shimmering aromatics of the juniper-dotted sagebrush ocean that fills the Great Basin Desert. Pause to contemplate the possibility of keeping your life as simple as the syrup. 5. Add 1/4 cup limeade, not because Raising Wild is an adult beverage, but instead because the flavor of limeade is the taste of childhood. This cocktail should immerse you in the landscape while also transporting your imagination to the horizon-less landscape of childhood summers. 6. Add just the smallest splash of Fever Tree Elderflower Tonic Water to give your drink the crystalline effervescence of the Truckee River as it tumbles through granite riffles on its way from alpine Lake Tahoe to its spectacular desert terminus in Pyramid Lake, a Pleistocene remnant that reminds us that if life is short, time is long. 7. Add ice. If you enjoy drinks that evoke humility as well as triumph, used smoked ice, which adds flavor while reminding you of the fast-moving wildfire that very nearly engulfed your home. To make smoked ice, chill water in a large ice cube tray. Just before the water freezes, sprinkle the ashes of your local wildfire lightly over it. (If you don’t have the ashes of a wildfire handy, burn spruce tips above the ice and let the ashes fall on top of the ice cube.) As the ice melts in your Raising Wild cocktail, it will release the subtle flavor of burned spruce, juniper, and sage. 8. Mix slowly with a wooden spoon. If possible, use the graceful, curved-handled spoon carved by your friend from the fallen branch of a mountain mahogany that clings to life in one of the steep, rocky draws on the northeast face of your home mountain. 9. Garnish with a sprig of…what else?...wild sage. 10. Go outdoors and enjoy your drink. Clothing optional. Local writer Shaun Griffin has just published a memoir about his work over the past 25 years building a sense of community and securing critical resources for the residents of Virginia City. 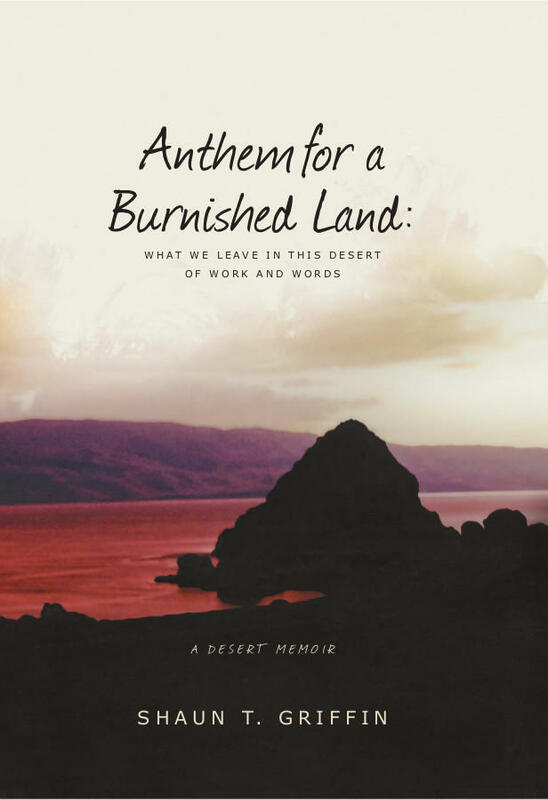 The book is called Anthem for a Burnished Land: What We Leave in this Desert of Work and Words. In this extended interview, he spoke to our contributors Christina Barr and Alan Deutschman about the book and his difficult journey as a community advocate. Joe Crowley was president of the University of Nevada, Reno for a record 23 years. Now in retirement, he's focusing on another passion, poetry, and has just published a collection called Hats Off to the Cap. To hone his skills, Crowley actually took a writing workshop at UNR, studying alongside several young undergraduates. "I did not disclose my identity; I was just Joe. I wanted them to just think of me as this old guy Joe."